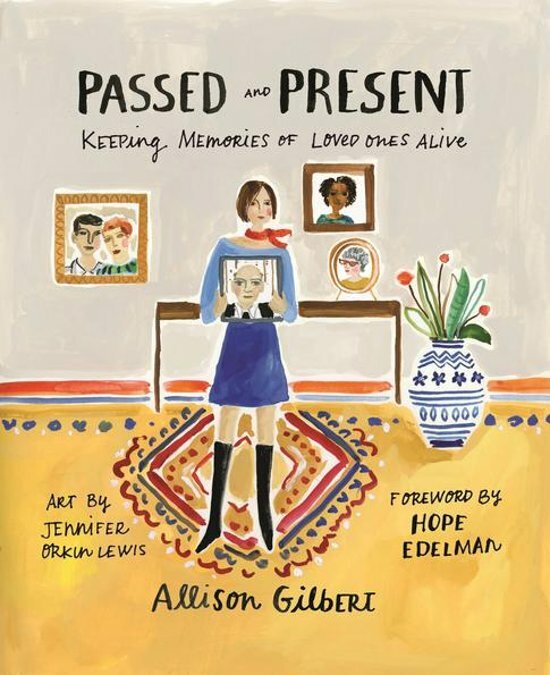 Passed and Present is a one-of-a-kind guide for discovering creative and meaningful ways to keep the memory of loved ones alive. Inspiring and imaginative, this bona fide ''how-to" manual teaches us how to remember those we miss most, no matter how long they've been gone. Passed and Present is not about sadness and grieving-it is about happiness and remembering. It is possible to look forward, to live a rich and joyful life, while keeping the memory of loved ones alive. This much-needed, easy-to-use roadmap shares 85 imaginative ways to celebrate and honor family and friends we never want to forget. Repurpose With Purpose: Ideas for transforming objects and heirlooms. Discover ways to reimagine photographs, jewelry, clothing, letters, recipes -virtually any inherited item or memento. Use Technology: Strategies for your daily, digital life. Opportunities for using computers, scanners, printers, apps, mobile devices, and websites. Not Just Holidays: Tips for remembrance any time of year, day or night, whenever you feel that pull - be it a loved one's birthday, an anniversary, or just a moment when a memory catches you by surprise. Monthly Guide: Christmas, Thanksgiving, Mother's Day, Father's Day, and other special times of year present unique challenges and opportunities. This chapter provides exciting ideas for making the most of them while keeping your loved one's memory alive. Places to Go: Destinations around the world where reflecting and honoring loved ones is a communal activity. This concept is called Commemorative Travel. Also included are suggestions for incorporating aspects of these foreign traditions into your practices at home. Being proactive about remembering loved ones has a powerful and unexpected benefit: it can make you happier. The more we incorporate memories into our year-round lives -as opposed to sectioning them off to a particular time of year-the more we can embrace the people who have passed, and all that's good and fulfilling in our present. With beautiful illustrations throughout by artist Jennifer Orkin Lewis, Passed and Present includes an introduction by Hope Edelman, bestselling author of Motherless Daughters.